As the day after the Super Bowl is upon us, it should definitely be a wakeup call for the Philadelphia Eagles organization and its defensive mindset. The Seattle Seahawks did what a lot of people said they would not be able to do, which is stop Peyton Manning and his arsenal of weapons. The Denver Broncos came into this game as the number one offense in the NFL, racking up records and milestones all throughout the year. Unfortunately, they stepped into a matchup with the number one defense in the NFL, the Seattle Seahawks. There was a lot of talk that much of Seattle’s success was predicated by their home field crowds causing commotion and deafening collaboration, but after last night, it shows that they are just that darn good! 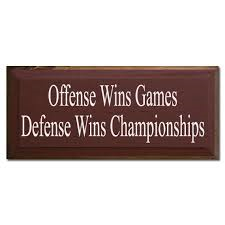 One of the biggest sound alerts that should be sent to the Eagles franchise from this game is that even though they may have a prolific offense, Defense wins championships. As I stated in my previous article, the priority in this offseason should start and end with the defense side of the ball. Just think for a second, how many more wins we could have had last year if we were able to stop the opposing teams at critical points of the game. How many 3rd and 1’s did we fail to stop? How many 2nd and 3’s went for 20+ yards? There are so many scenarios we can all play out in regards to our defense last year to show how much we need to improve. Obviously, we did play well with what we had in regards to talent, which is why we need to focus on playmakers this offseason, not just an average, mid tier, second stringer. In my opinion, we need a pass rusher who can be dominant, a safety who can make plays, and corner who can lock down the opposing teams’ number one receiver. I know that’s a wish list that many teams may have, but we have the financial flexibility and national likeness to get it done. Looking at this game under a microscope, you can see how the plan of the Seahawks was to make Peyton rush, which would make his thought process unbalanced. This led to careless throws into forced coverage and timing issues that disrupts every phase of his game. It almost is equivalent to the game plan the Cowboys had on Nick Foles, which should serve as a compliment to Foles and a hint to how to unravel an offensive powerhouse, such as the Eagles. If you look at last year’s Super Bowl winner, the Baltimore Ravens, they too possessed the game changing defense that was needed to, not only stop important drives throughout the game, but to solidify the balanced game plan that had put into place. The Philadelphia Eagles are on a way to continued success, but they will constantly come up short if they do not take notice of the ever growing emphasis of assembling a defense that not only wins games, but has the ability to win Championships, something this town is craving for more than an earlier Spring!!!! Previous Previous post: Experienced Instincts or Rookie Intuition…..